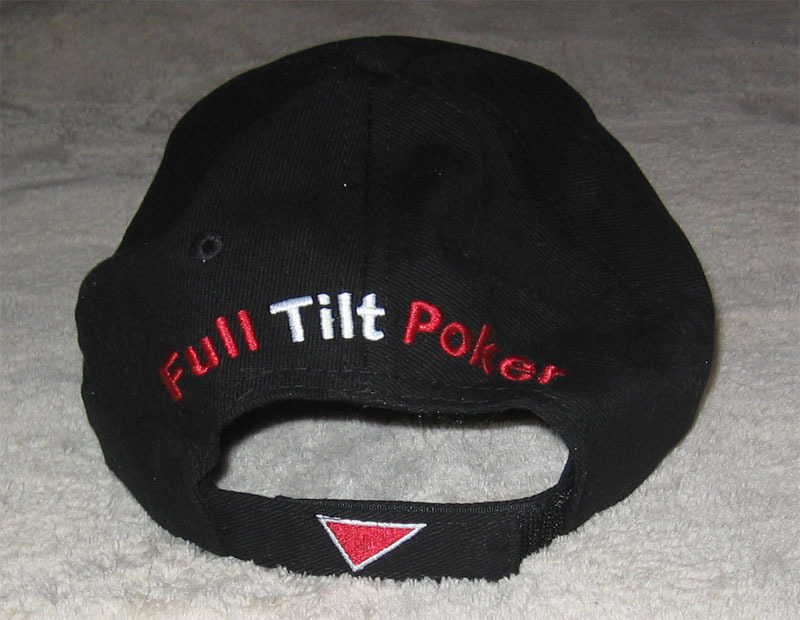 Full Tilt has some of the coolest and most wanted poker gear today. 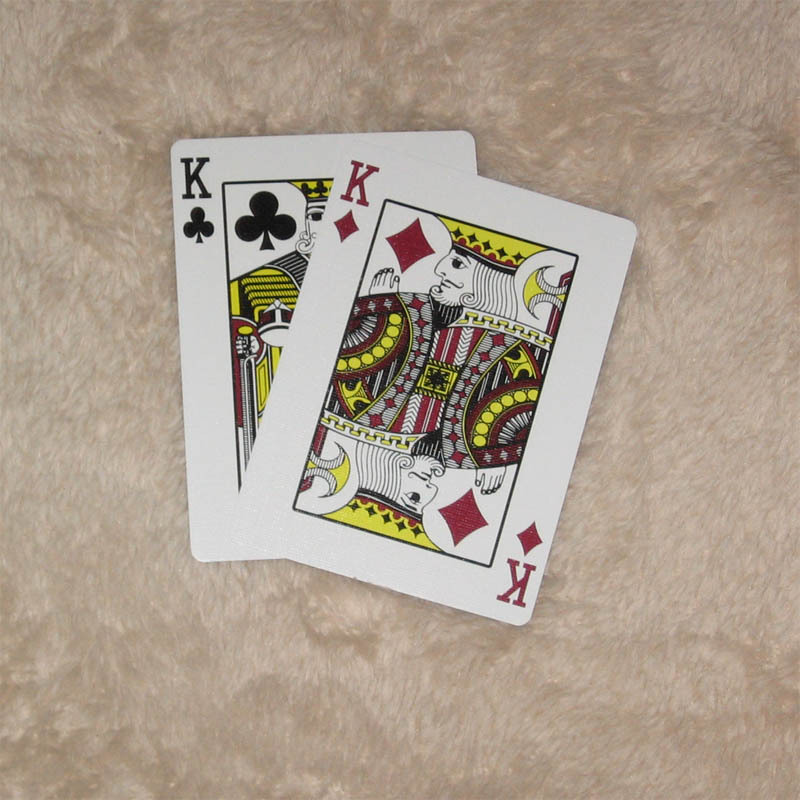 By playing hundreds of thousands of hands for numerous amounts of hours, you can then use the points you accumulate towards the items in their store. 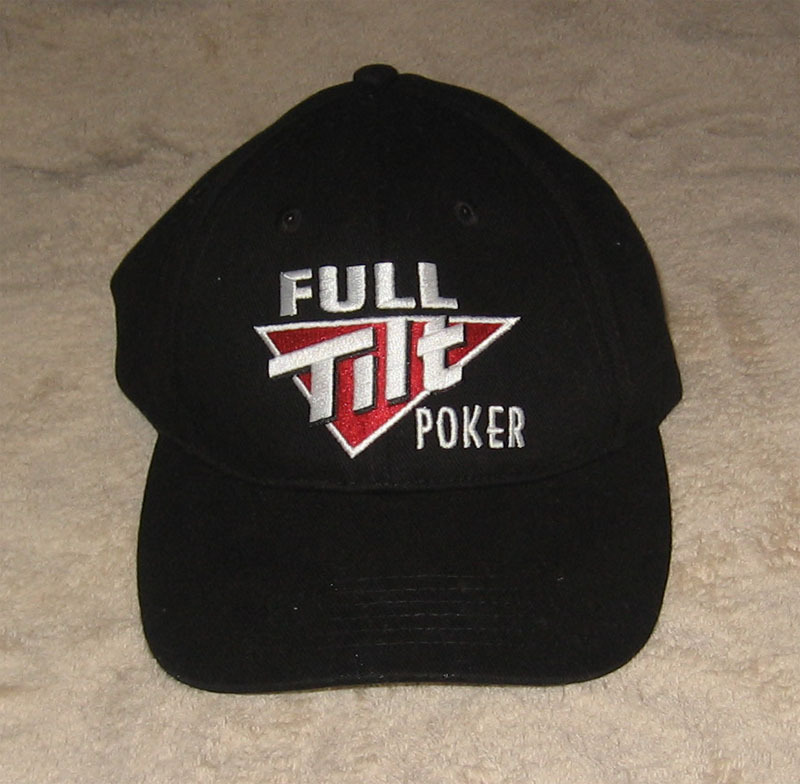 They offer various Full Tilt clothing and gear, such as Full Tilt Poker hats, beanies, hoodies, jackets, shirts, and other clothing/accessories. These items are exclusive and the only way to obtain them is through their website. That is until now. Here at Flop Turn River we are offering an exclusive deal to our readers. What we have here is a large quantity of Full Tilt Clothing and Full Tilt Poker hats to offer to our members. Normally you can’t get these awesome items and gear without playing a great deal of poker and earning a whole lot of points as explained earlier. We’re offering them exclusively to you, for free. Yes, for free. You can’t beat that offer. Below you will see the catalog of the clothing that we have available to give away. Everything you see is brand new, has never been worn or washed and still contains all the tags. They are all in perfect condition direct from Full Tilt and FTR! 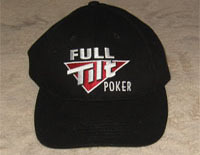 This is a really sweet Full Tilt Poker hat baseball cap that you can only get from us here at Flop Turn River. 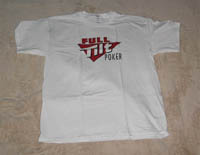 You must earn points to get it from Full Tilt Poker otherwise. It has excellent quality and is offered with 100% brushed cotton and a Velcro closure strap. I really like the strap. It makes fitting a breeze while still looking great. 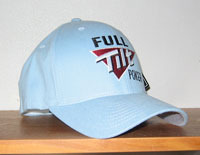 What better place to get your Full Tilt hat? One size fits all with head adjustment, colour in black. 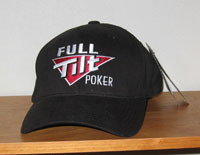 This is one of the most popular items that you will find in the Full Tilt store. Normally it would take a good amount of points to purchase this, but through FlopTurnRiver you can now get this item for free! 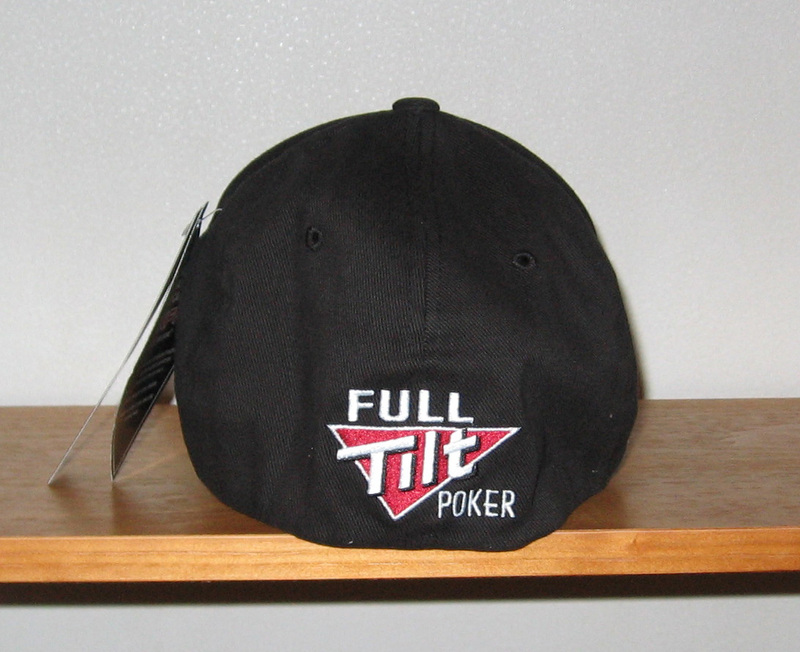 This Flexfit cap features the Full Tilt logo on the front and back, and is fitted in one size fits all. The brim is already pre-curved and will look great at your next home game! One size fits all, colour in black or blue. 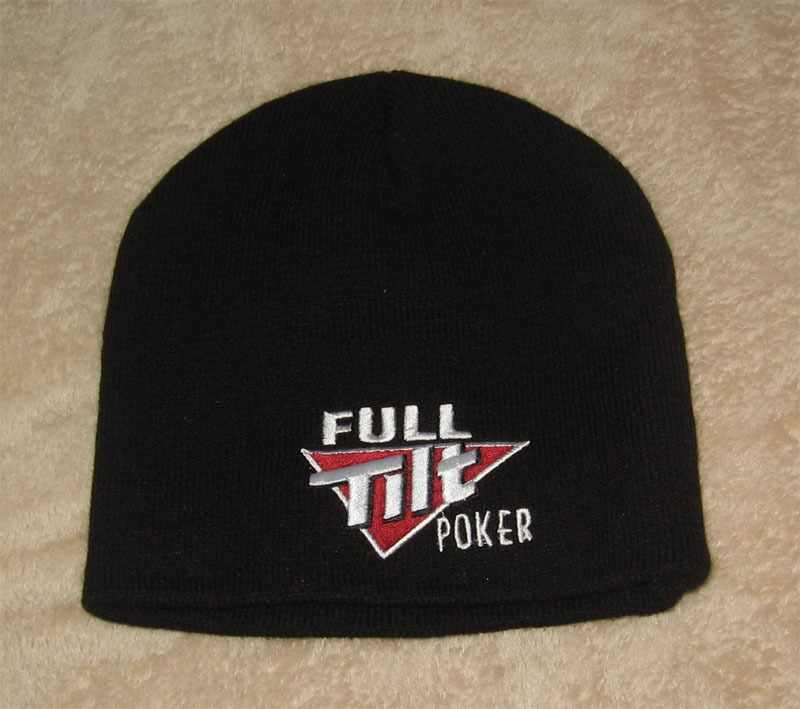 This awesome Full Tilt Beanie Cap is 100% acrylic and measures 8 inches across. It only comes in black and one size is intended to fit all. 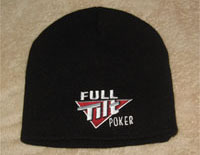 This is a really nice beanie cap with the Full Tilt Poker logo embroidered on the front. 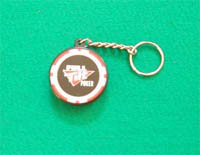 This is only available at Flop Turn River right now and usually you can only win these by playing poker on their site. 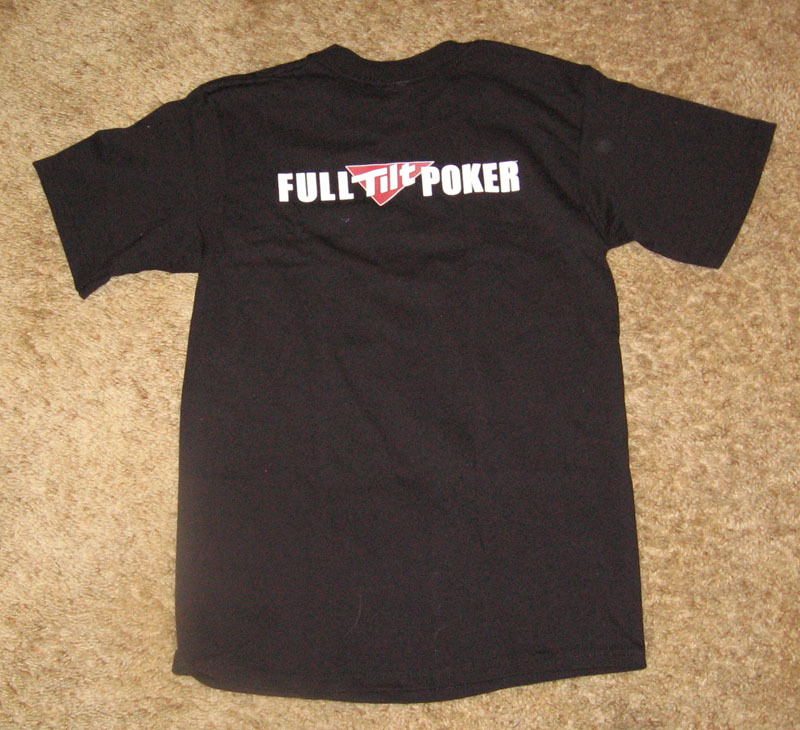 Flop Turn River is lucky to exclusively have Full Tilt clothing. One size fits all, colour in black. 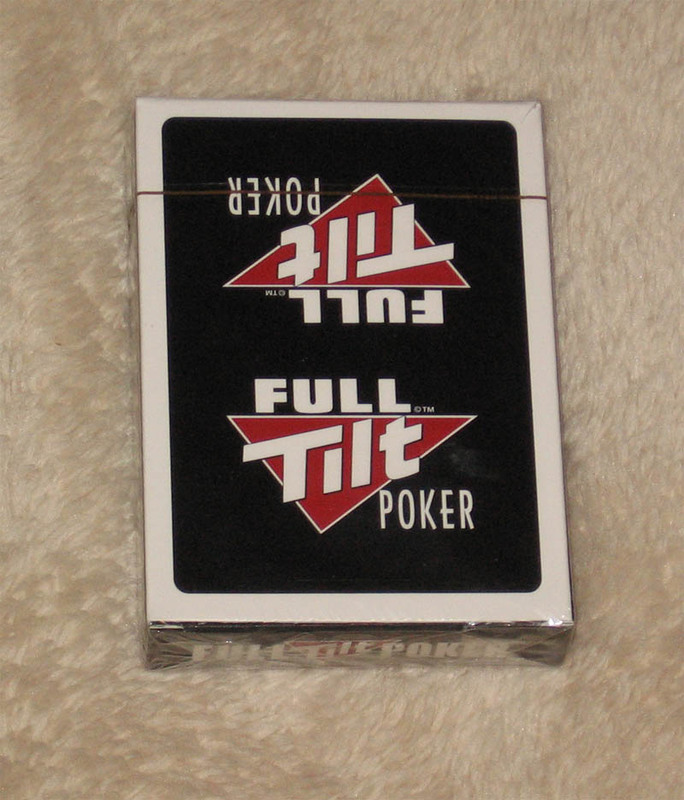 Check out this hot item right here from Full Tilt that we are featuring at Flop Turn River. This hoodie features the logo on the top left of the front and running down the side on the back. 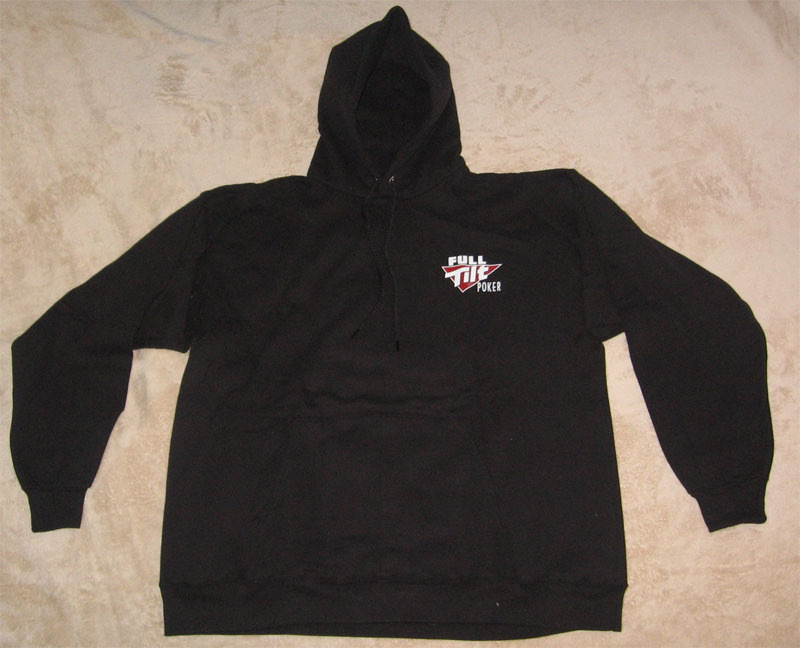 It is made from comfortable pre-shrunk cotton with a polyester fleece lining. This hoodie screams quality and feels as good as it looks. Flop Turn River is lucky to exclusively have Full Tilt clothing. Available in L and XL, in the colour black. 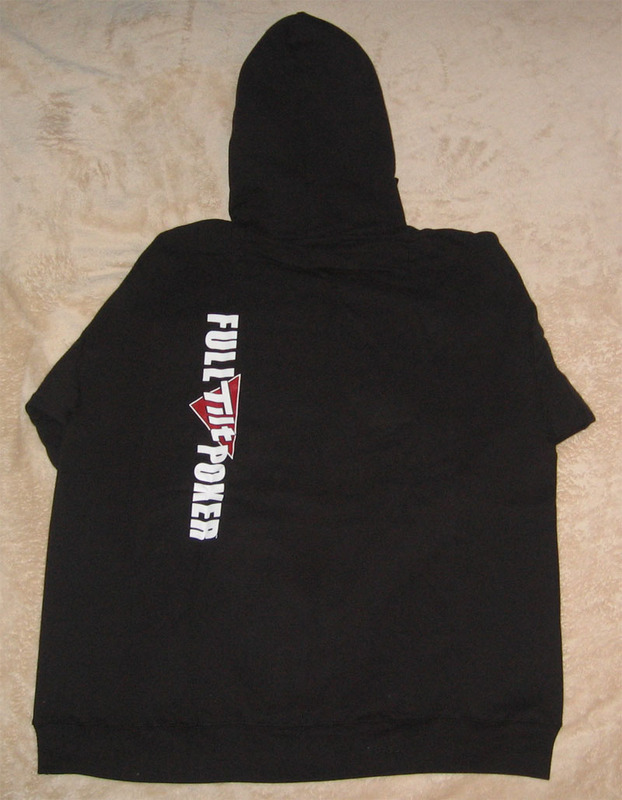 This hoodie looks incredible and would take you a long time to earn if it wasn’t being offered through Flop Turn River. It is made with awesome quality and the black and red colours look great in contrast with one another. 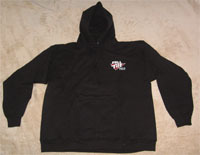 This hoodie is 80% cotton and 20% polyester and has a contrast lined hood, side panels and drawstring. I personally love this hoodie. It’s really soft but has the great quality you would expect from such an item. 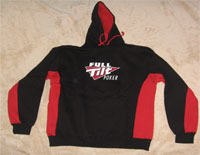 This item is great and we are really loving our Full Tilt clothing over here at Flop Turn River. Available in L and XL, in colour black/red. This zip up shirt we are offering here through Flop Turn River would be an excellent accessory to your wardrobe. 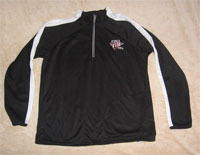 It’s 100% polyester and features an athletic stripe with piping on the zipper and raglan on the sleeves. It also has stitched pockets on the front and a drawstring on the hem. 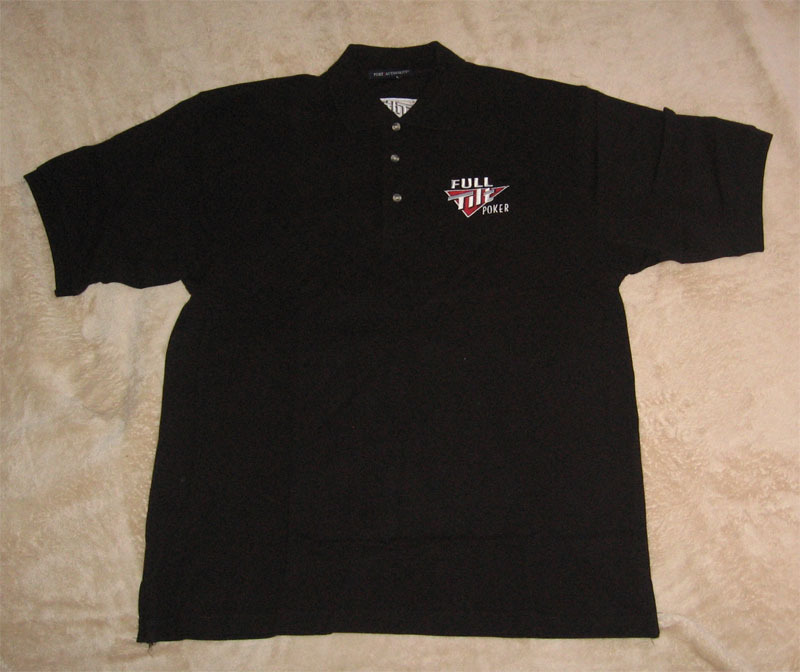 This is a really nice shirt that can double as a pullover jacket and I wouldn’t mind having one myself. Normally you can only earn this Full Tilt clothing by playing poker, but right now we’re offering it exclusively at Flop Turn River. Available in XL, in colour black/white. Here’s some awesome Full Tilt clothing that would normally take a lot of points to earn and are offered exclusively at Flop Turn River. 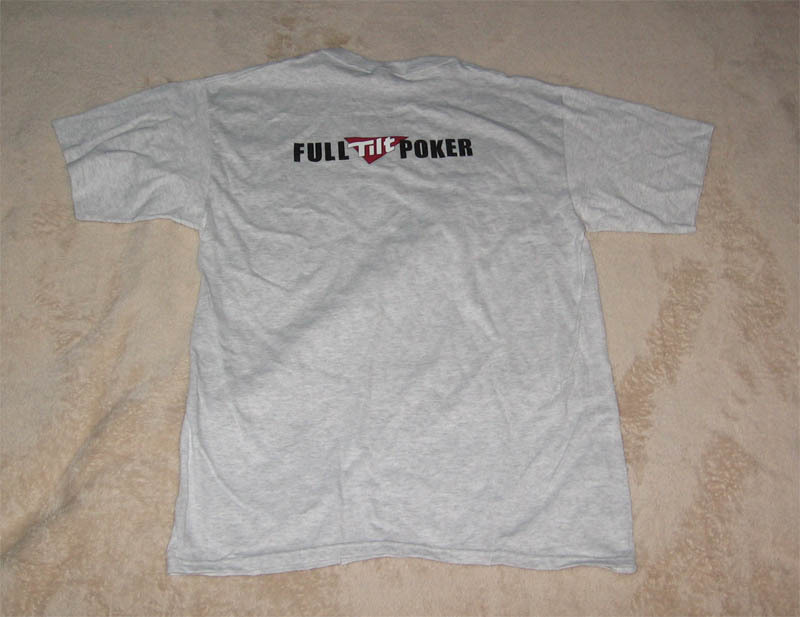 This Full Tilt Men’s Sports Shirt is made in the classic 7 ounce style with 100% cotton and pique side-seams. The neck is taped and the collar features 3 horn buttons. This is a really nice shirt with a polo style to it and looks great! Sizes available in L and XL, colour in black. This great and humorous 100% pre-shrunk cotton Full Tilt shirt goes great with their room. 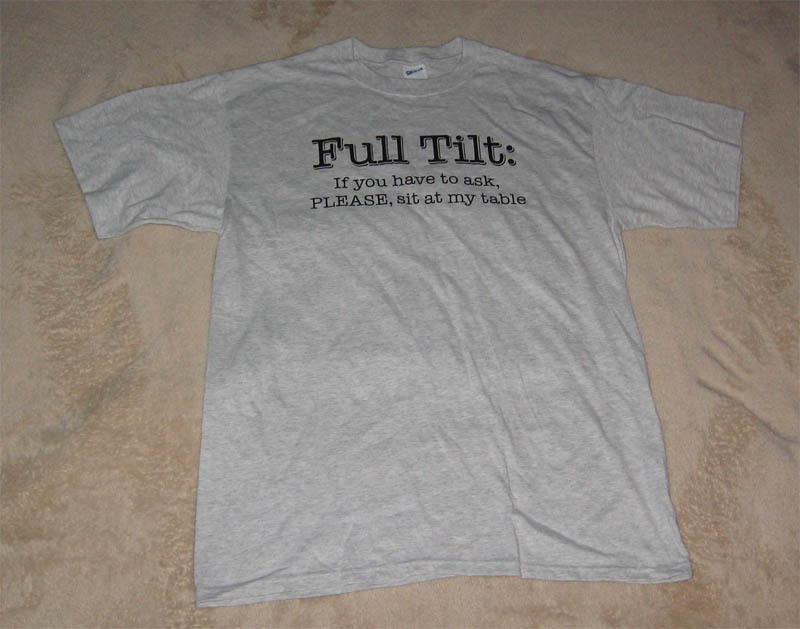 Reading, “Full Tilt: If you have to ask, PLEASE, sit at my table” it begs the fish to sit! 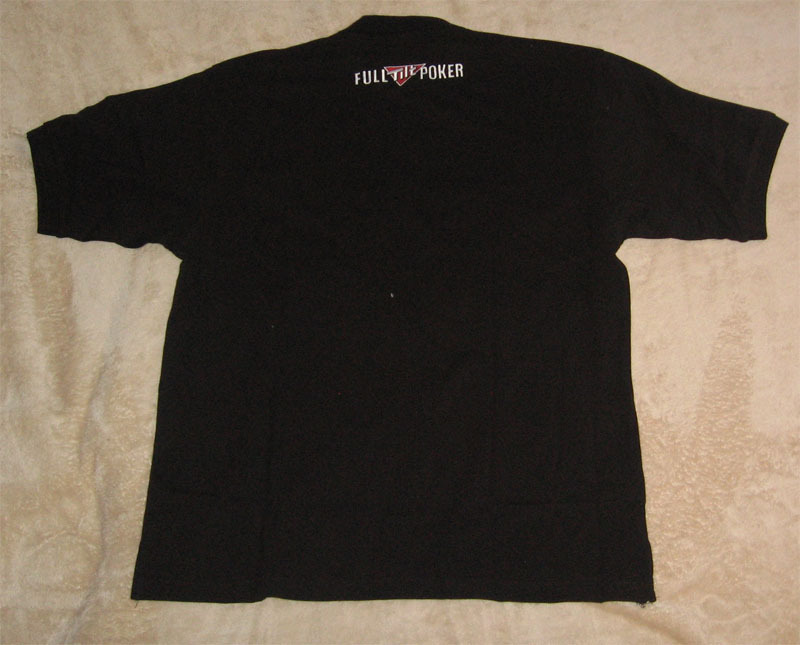 It also has a nice logo on the back of the shirt displaying Full Tilt Poker. 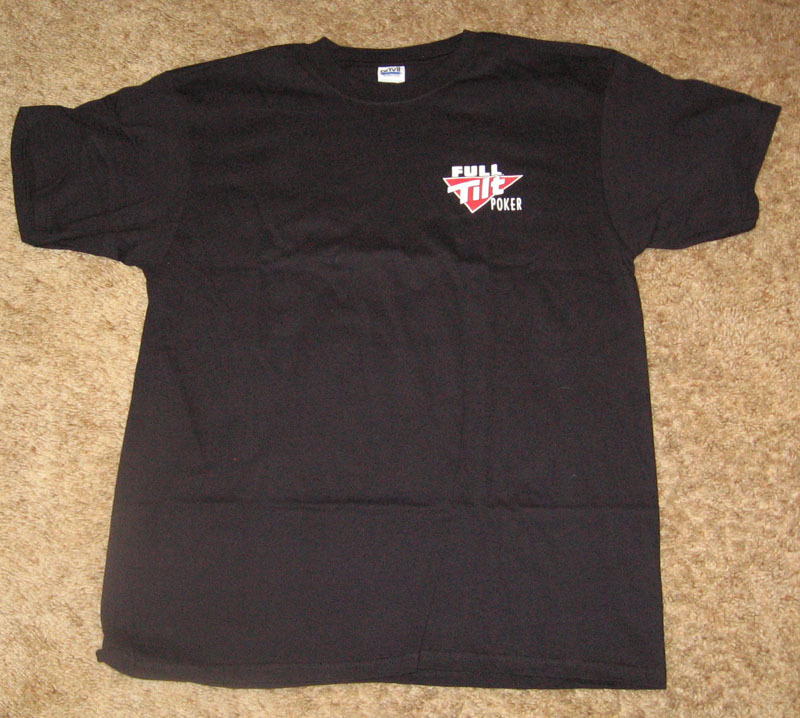 As with all the other Full Tilt Clothing you see on this page, this would require playing and earning points. However, this could be yours free from FlopTurnRiver.com! Sizes available in L in ash grey. 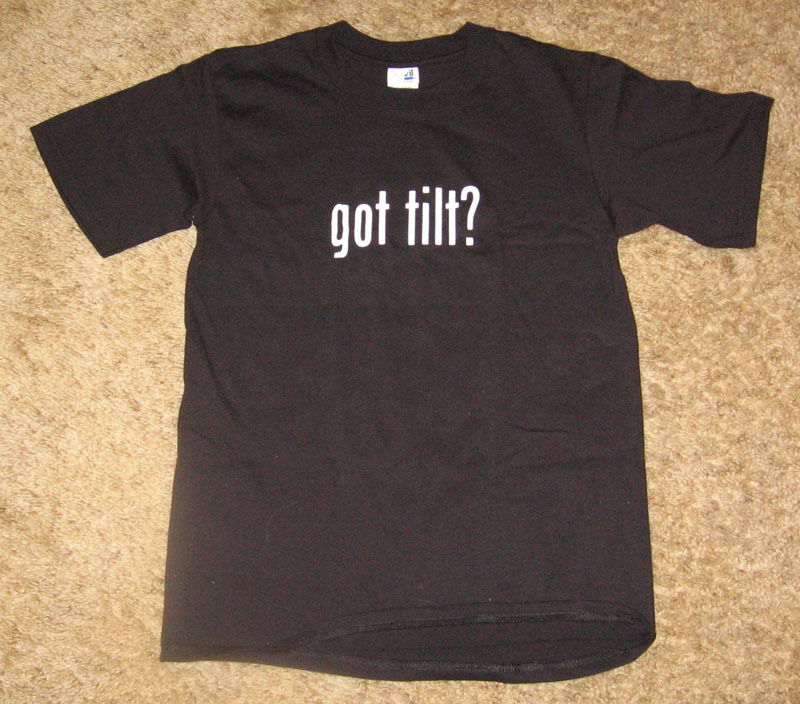 This Full Tilt shirt asks the question your opponent may be thinking, “Got Tilt?” An obvious copy of the popular Got Milk? 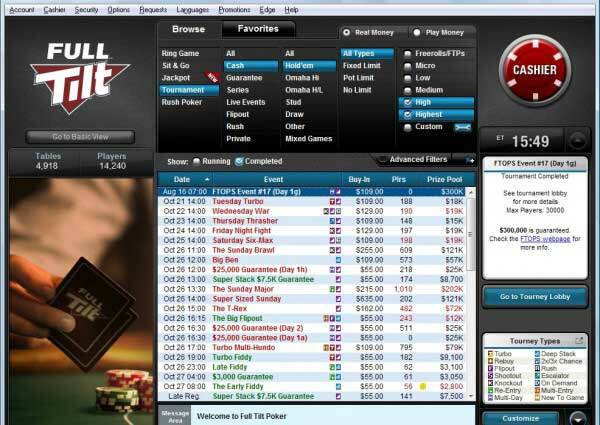 phrase, which was popular years ago, they haveFull Tilt put their own twist on it, making it appealing to all poker players. It can also be used as a friendly reminder to yourself if you feel tilt coming on. 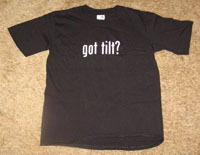 Just look down and ask yourself, got tilt? Sizes are available in S or L in black. 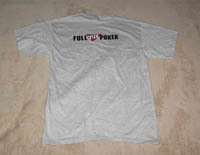 Looking at this Full Tilt Poker T-shirt from the front, it looks like it is just an another shirt with their logo. 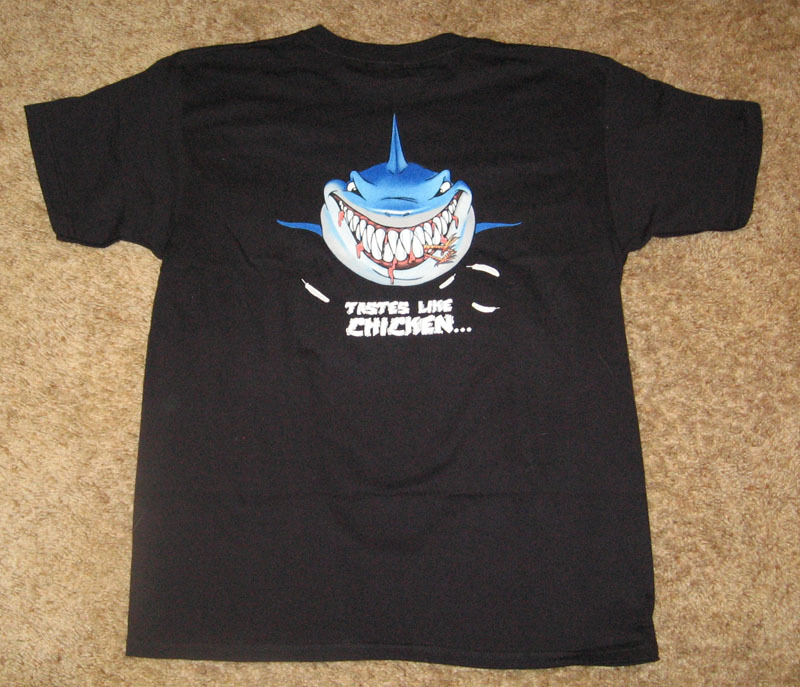 But as soon as you turn around, your opponents will see who you really are, a shark! 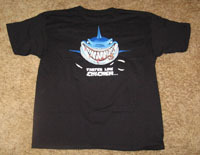 It uses the cartoonish yet creative shark avatar that you can use while playing online at Full Tilt, but with a slight twist. Those fish that you keep taking money from apparently “taste like chicken!” You will get a good laugh out of your friends and at the same time show off your skills and support for Full Tilt! This is a must have! Sizes available in M – XXL in black. For those who don’t need any flashy design and just want to let the world know where they play, this white Full Tilt shirt is perfect. 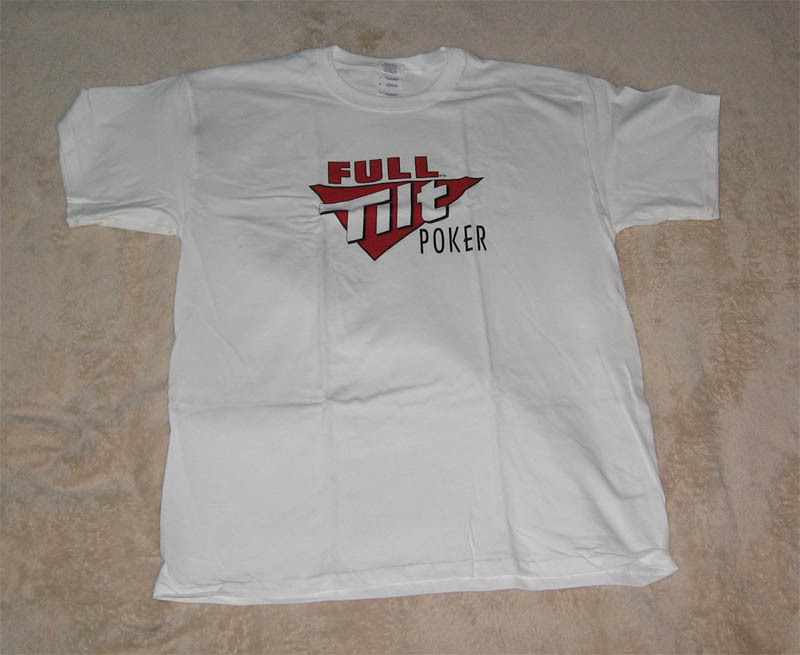 It is in 100% heavyweight cotton with the official Full Tilt Poker logo displayed on the front. Let your friends at your home game know you’ve been upping your game by wearing this shirt to your next game! Sizes available in S – XXXL in white. These awesome Full Tilt mouse pads come in two different versions. The first includes all of the members of Team Full Tilt. You will be reminded and motivated to become as good as them with every session you play. Every time you click the raise button with Phil Ivey underneath your mouse, you know you’re one step closer! 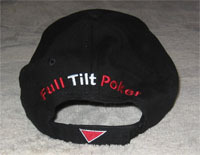 The other is round, made in black, red, and white and has the Full Tilt logo right in the center. The surface used for both is a patented Vynex coating which is designed specifically for smooth mouse movement. 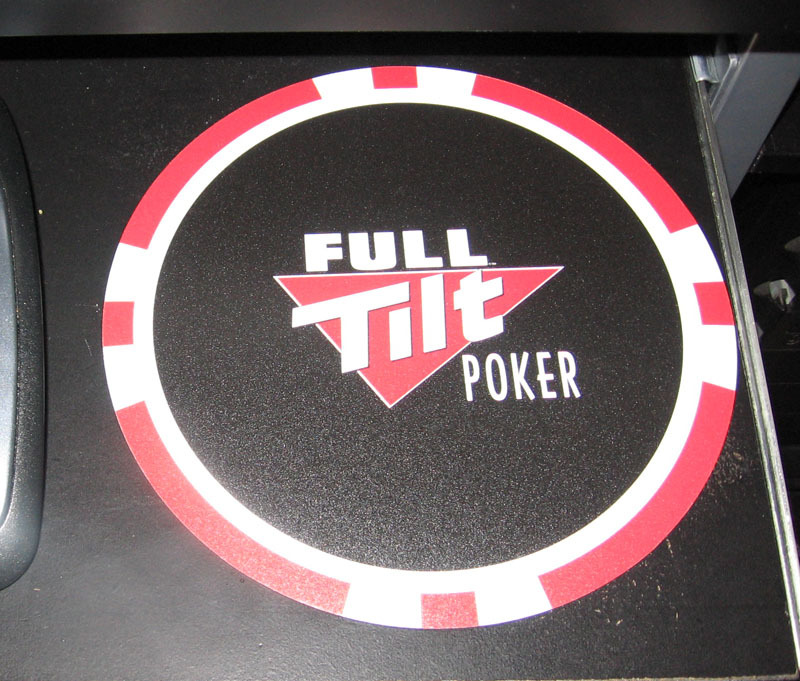 The team Full Tilt pad is backed by 1/8″ thick heavy duty rubber, for durability and keeping the mouse pad in place after those bad beats! It comes in one size, 9.5″ W x 8″ H, with the team logo on the front. The round mouse pad is a bit thinner, and does not take up as much room on your desk which is great for those who don’t have a lot of room; 8″ x 8″. 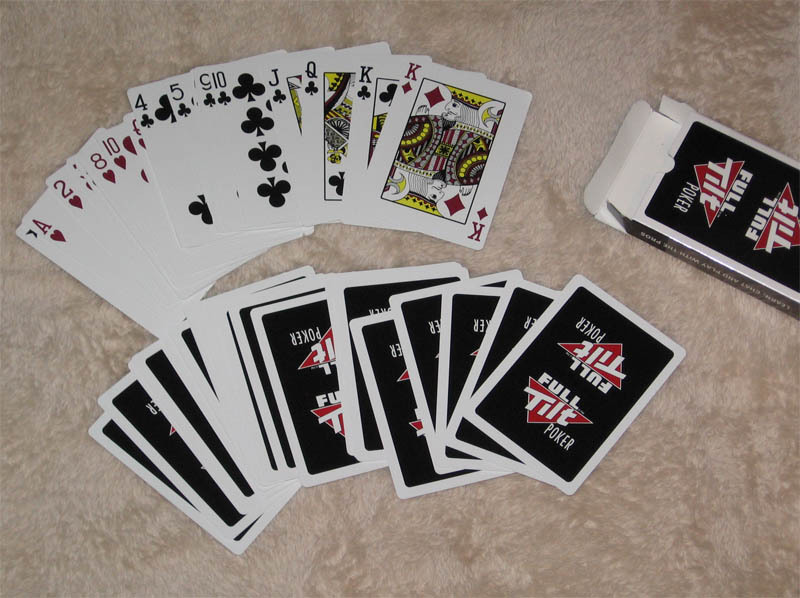 Why not spice up your home game with the official deck of cards that the Full Tilt Pros use? 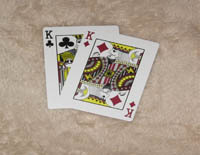 These casino quality 10.5 2-ply coated cards are just what you would see in any professional casino. They are extremely durable and will last through thousands of hands. They have the official Full Tilt Poker logo on the back, and very clear display on the front. All cards come in black only. Looking for something to add to your plain keys? Why not the addition of one of the two below Full Tilt keychains? 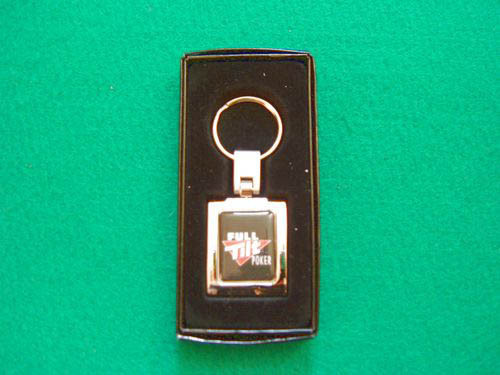 First off, you can choose the Full Tilt Poker Chip Bottle Opener Keychain, which features a poker chip with the Full Tilt logo. 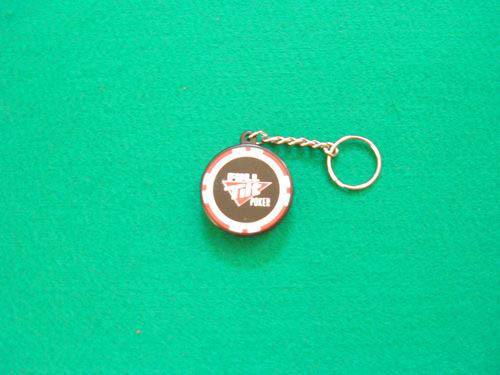 This actual heavyweight poker chip is a bottle opener. You will no longer have to worry about where your bottle opener is when you buy a case of Corona! 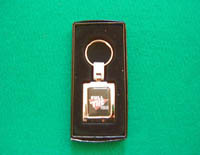 Or if you would prefer, you have the option of the Silver Full Tilt logo keychain. This is finished in high polished silver and is definitely a very attractive and stylish keychain. 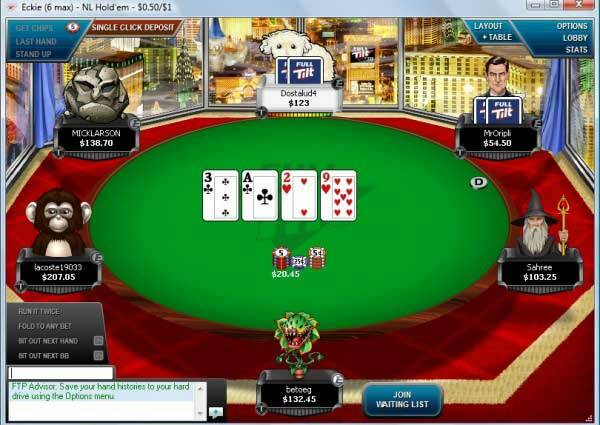 No matter which one you choose, you can let your friends know which online poker room you play at, for free! 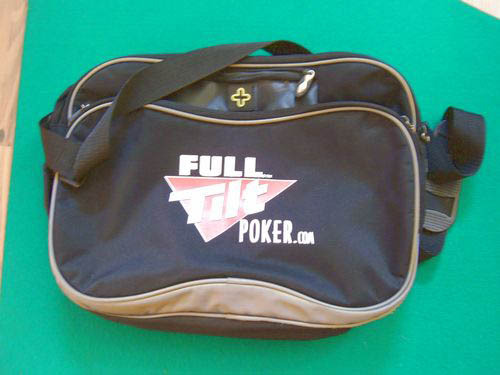 This Full Tilt Poker Imago Urban Brief Bag will hold practically anything you would require it to. This bag is especially great for traveling and be used as a stylish carry on bag where ever you have to fly. There are multiple zipped compartments, velcro pockets, side pocket to hold a water bottle, as well as a media pocket for your mp3 or CD player. It comes with an adjustable shoulder strap which is pretty comfortable. 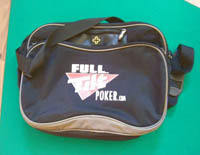 This Full Tilt Bag is a great addition to the Full Tilt clothing and items offered for FREE from FTR! Colour available in black.